We are proud to announce the launch of Enthuspec! 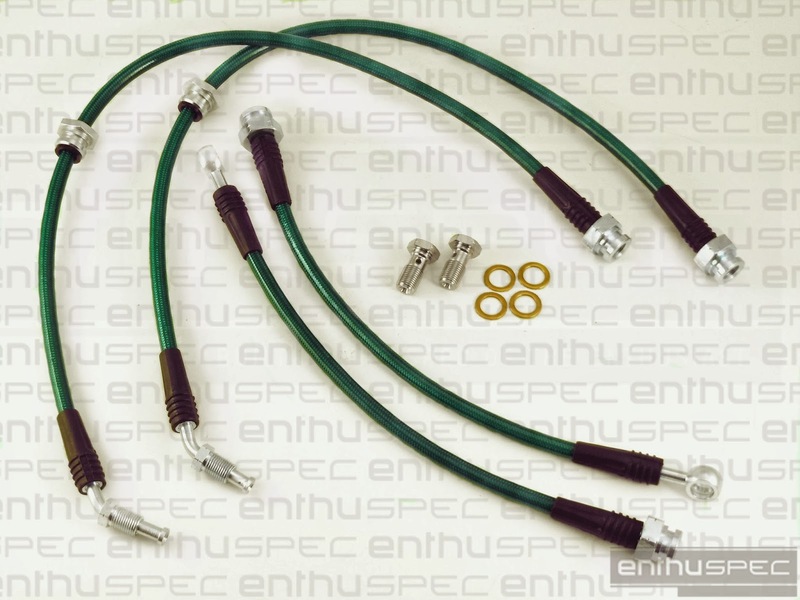 As the name suggests, we have designed Enthuspec parts to meet the specification of the enthusiast - manufactured in the U.S.A. under the highest, most rigorous standards achievable, Enthuspec parts have received a D.O.T. certified status and are sure to satisfy even those of the most discerning taste. 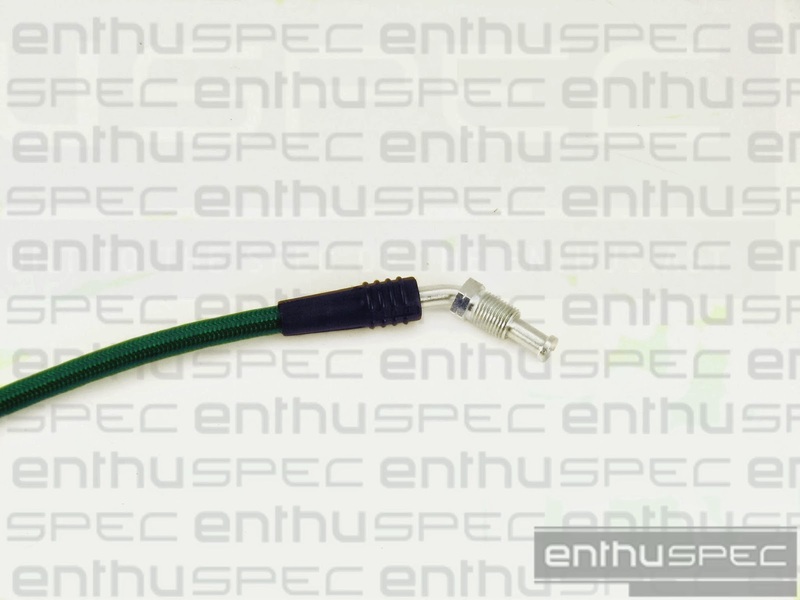 This line replaces only the OEM rubber flex line NOT the hard line. 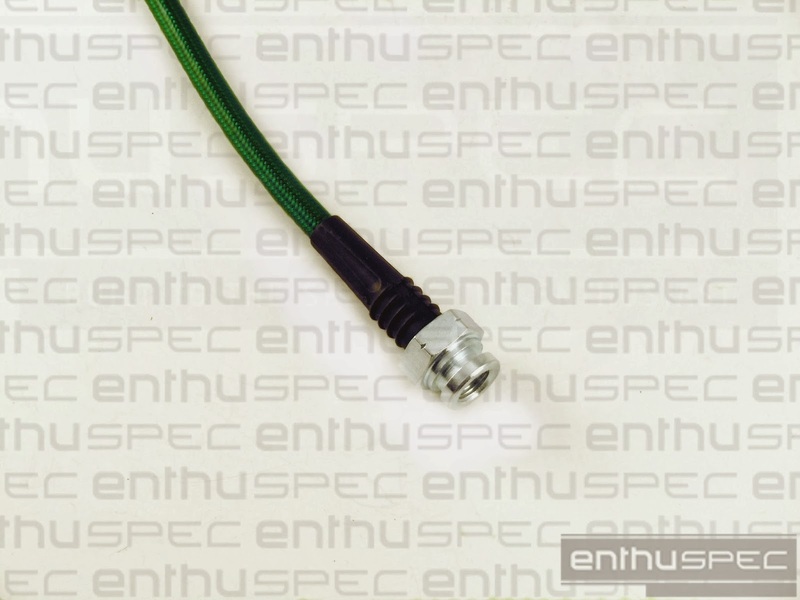 Gives driver a better clutch feel with more response and eliminates expansion of the line. 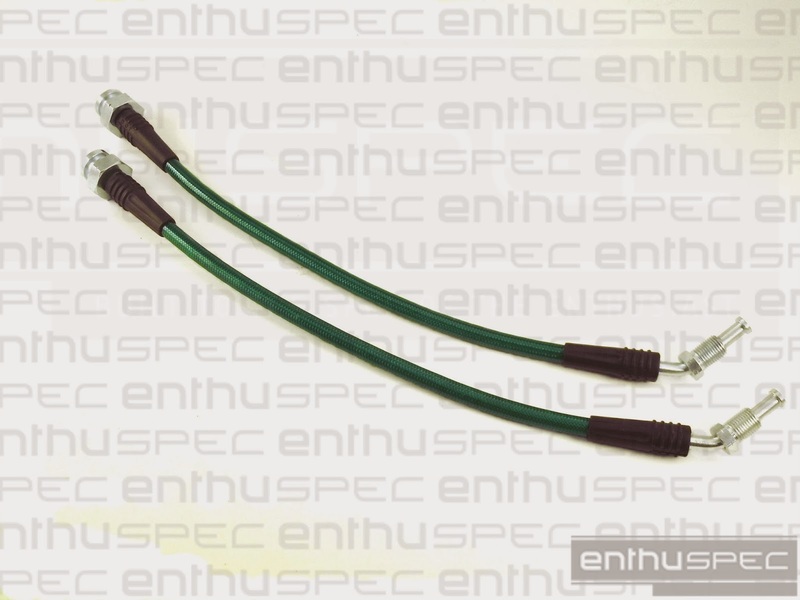 -Enthuspec Stainless Steel Braded Power Steering Line for the Nissan 240sx fits all DOHC KA24DE and SR20DET applications. Using a -6an line that is braided and the lined with black hytrel to add additional protection, this line replaces your factoryHigh Pressure rubber line that tends to leak and crack over time. 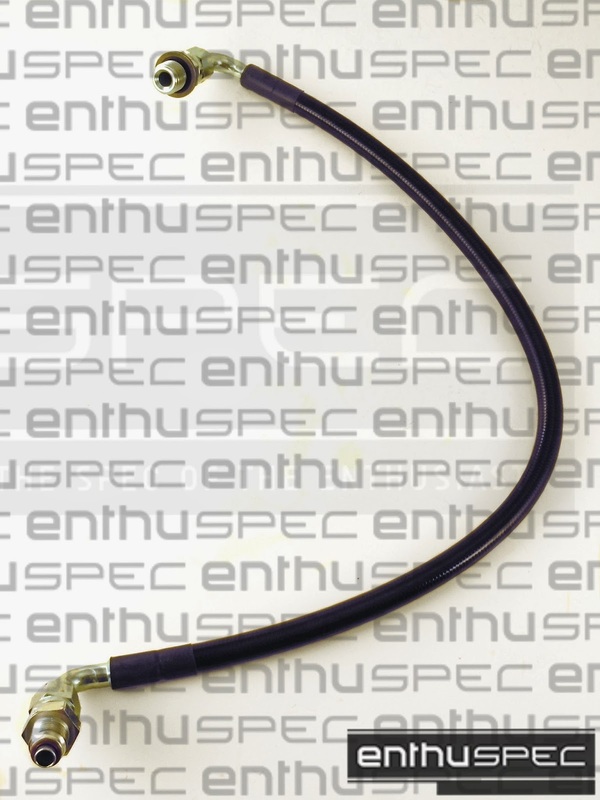 - Enthuspec performance brake lines are custom designed to allow you to us the Nissan 300zx/Z32 Front callipers on othe Nissan 240sx front axle. 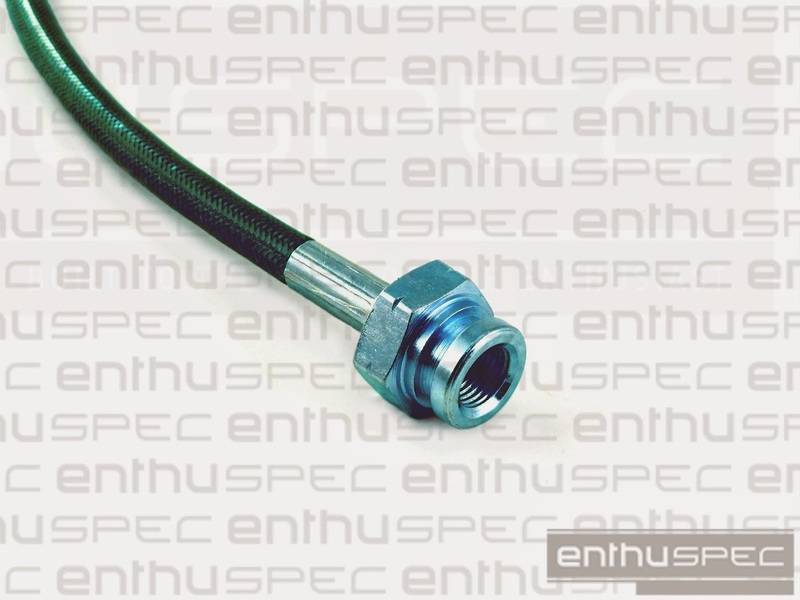 The fittings are CNC machined and the lines are made of the finest PTFE hose and permanently crimped-on zinc plated steel fittings. 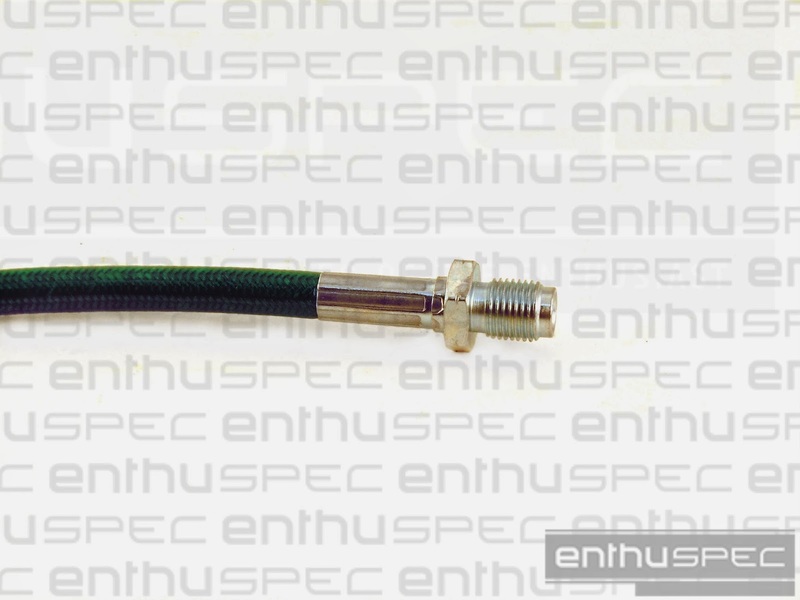 Hose is made with an extruded PTFE core and a stainless steel wire braided cover. 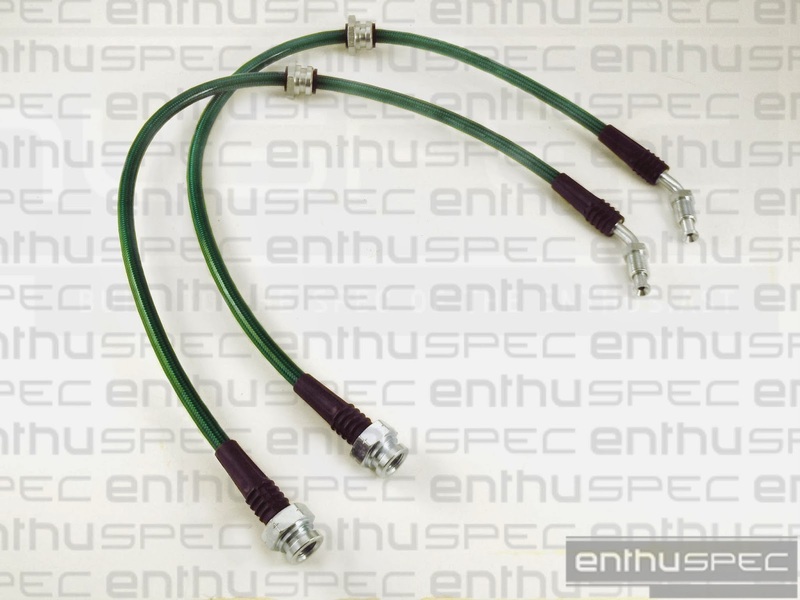 They reduce volumetric expansion giving you the reliability and safety you demand. 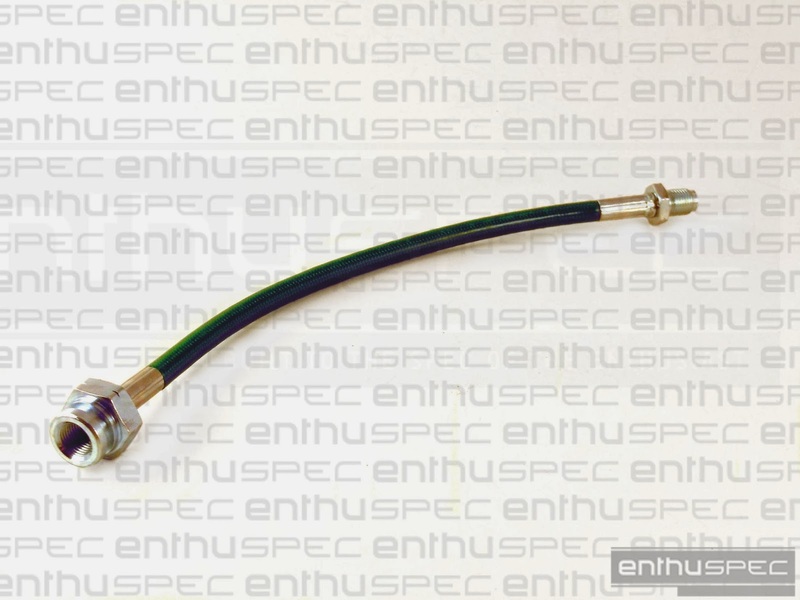 OEM style rubber brake hoses are notorious under braking pressure to flex. 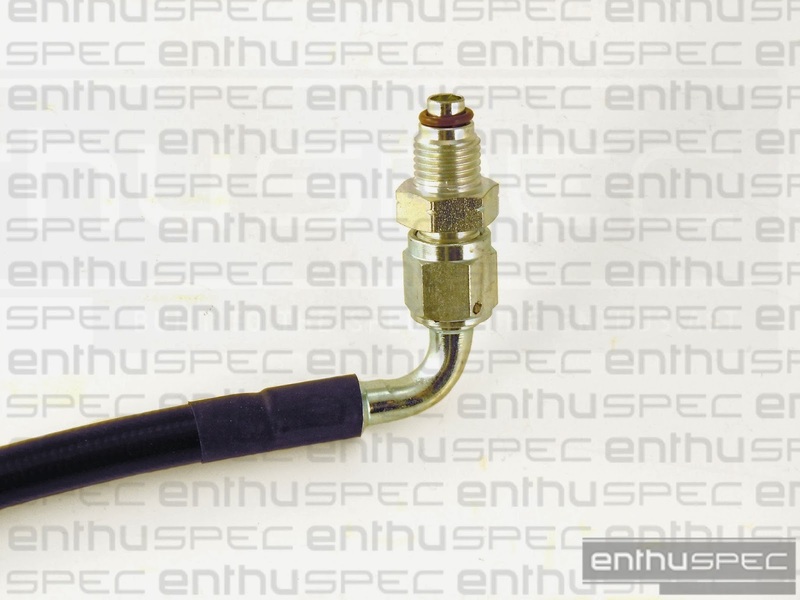 This causes for an inconsistent and less reliable braking response. 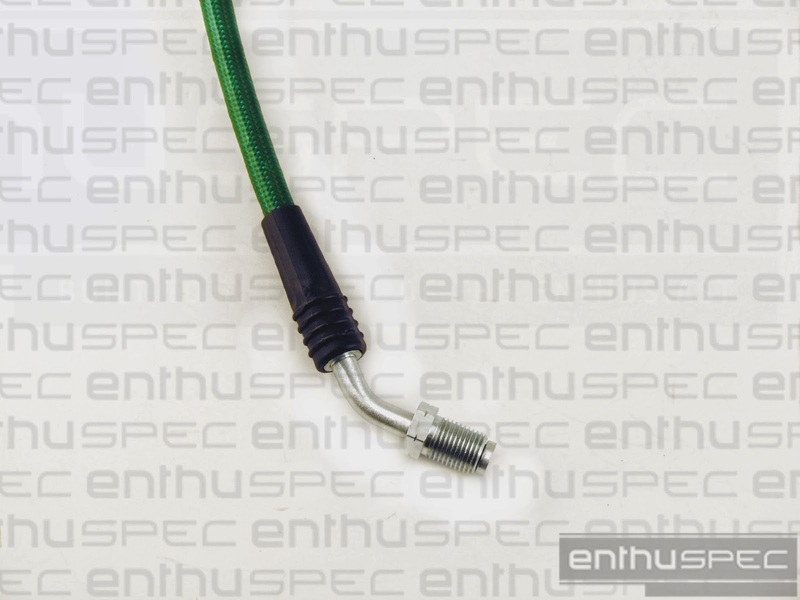 Enthuspec performance stainless steel braided brake lines fixes this issue and will provide for a firmer and more consistent feel when braking. These lines are made in the USA at the highest standards to achieve, a D.O.T. certified status. 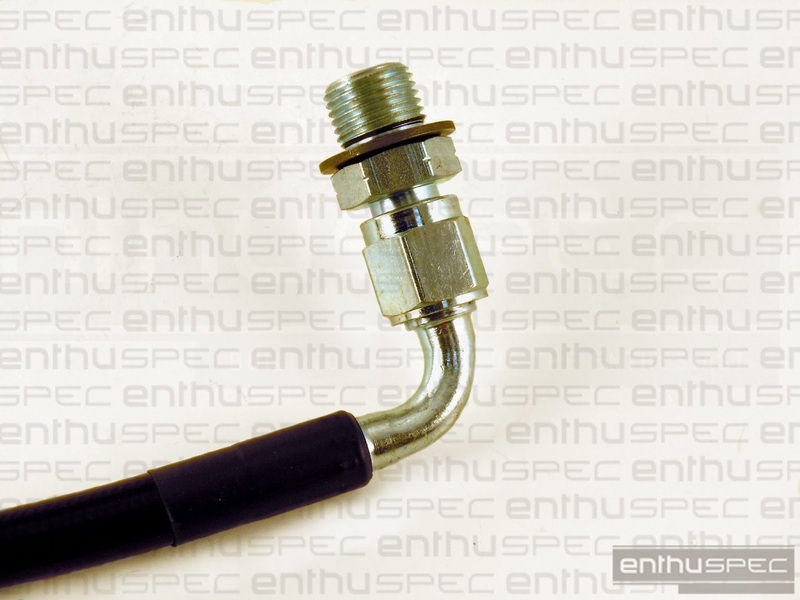 This part comes with all necessary hardware required for a complete installation on your car. 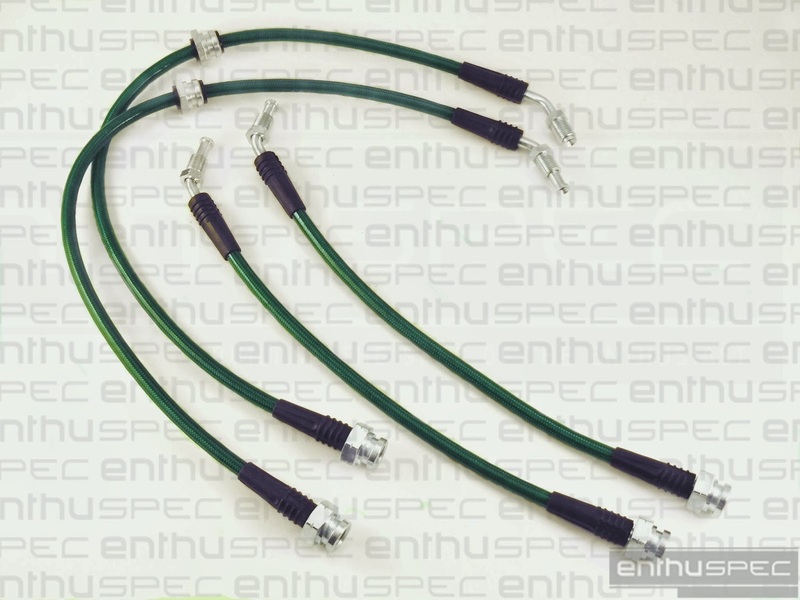 Enthuspec performance stainless steel braided brake lines fit on all 1989-1998 Nissan 240sx chassis that are doing the Z32/300ZX front caliper conversion. 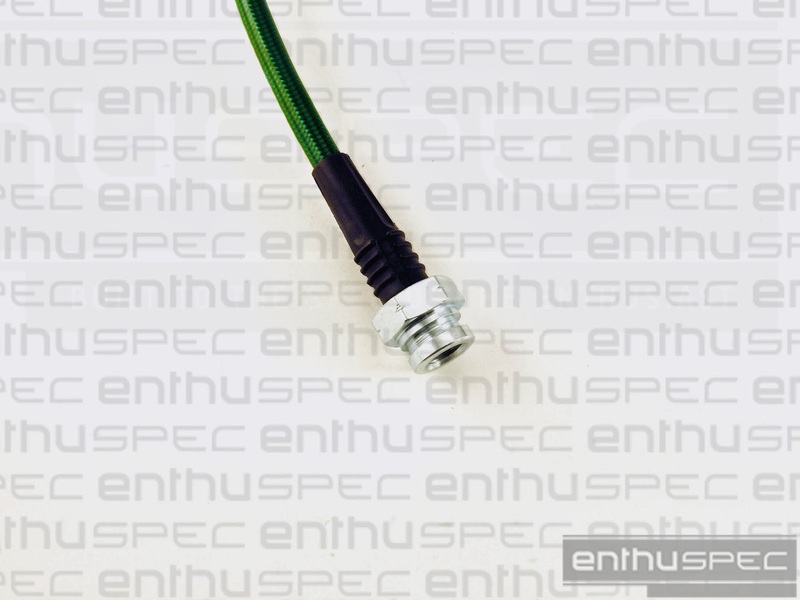 WE ARE CURRENTLY OFFERING FREE SHIPPING ON ALL ENTHUSPEC PRODUCTS!